Summer is truly a wonderful time for roof restoration in Melbourne. After all, this means you can enjoy some fun in the sun or a pleasant evening watching the night sky. However, the season is also notorious for being a time when fires become common. Luckily, it’s easy to remove fire hazards from your home. Victoria is one of the most fire-prone states in Australia because of the weather. Although winters can be very wet, summers can get extremely dry, which results in possible fire conditions. 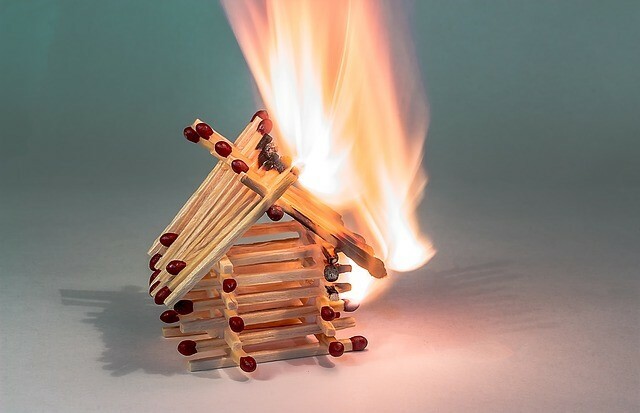 This is why it is very important to prepare your Melbourne home from any fire hazards. Here are simple ways to keep your house safe this season. Remove dead branches and twigs from your greenery. Fires can spread quickly because of dry plants in the area. Make sure to prune your trees and get rid of dry leaves and twigs surrounding your property. It also helps to regularly water the plants to keep them moist and healthy. Dispose of cigarette butts properly. Some house fires are the result of cigarettes being carelessly disposed. Make sure that the cigarettes are no longer lit when you throw them away. It is also best to avoid smoking indoors. Make sure your air conditioner is working properly. Ironically, air conditioners can cause fires when they aren’t properly cleaned. You might need to get professional cleaners on the job, but it will be worth it in the end. Be careful when cooking. Cooking fires can happen anytime so you need to be alert while you are in the kitchen. Avoid doing any cooking if you are sleepy or have consumed alcohol. Keep oven mitts or wooden spoons away from the stove when you are cooking. It is also best to stay in the kitchen when you are cooking since a neglected pot can easily turn into a fire hazard. Inspect your electrical wirings. Electric fires are also common but easily preventable. Just remember that the inspection is best done by a professional who can spot problems that can be overlooked. You might also need an expert to fix the wirings so it doesn’t become a potential fire hazard. Get a roof inspection to find leaks around your home. Leaks and water damage are probably the last thing that people would consider dangerous. Unfortunately, a leaky roof can turn any electrical wiring into a potential fire hazard. It is best to contact a professional who can check your property thoroughly and provide a roof restoration right away. It’s always better to be safe than sorry. Make sure your home is free of any fire hazards this summer. Investing in a roof replacement can actually help insulate your home properly and prevent leakage that could lead to an electrical fire. If you’re looking for professionals who can check on your roof, contact Strong Life Gutters & Roofing. The friendly experts will be more than happy to give you a free quote and provide a thorough inspection of your property. Needless to say, your satisfaction is 100% guaranteed so contact Strong Life today!